Many people in the pro-Israel community continue to be frustrated by the refusal of many media outlets and some political organizations to designate Hamas a terrorist organization. While the phrase “one person’s terrorist is another person’s freedom fighter” is often bandied about, organizations have no difficulty clearly labeling some organizations as terrorist groups. Consider CNN which highlighted five jihadist groups in February 2015 as terrorist organizations: Al-Shabaab; Al Qaeda; Boko Haram; ISIS; and the Taliban. The groups are consistently labeled as jihadist terror organizations that seek to destroy reigning governments. Al-Shabaab was specifically designated as a terrorist organization by CNN, which did not couch the language as a suggestion that it could be considered a terrorist group by some third party. CNN often localized Boko Haram to Nigeria and neighboring countries (compared to the growing global threat of Al Qaeda), but consistently referred to the group as terrorists. The Taliban has not been as prominent in the news lately. However, when it was, CNN was clear that the group’s actions and the group itself was involved in terrorism. These five organizations are identified by CNN as terrorist groups. They are Islamic jihadists. They terrorize and attack. They seek to overthrow existing governments through murder and mayhem. Now compare them to CNN’s description of Hamas. On February 28, 2015 CNN had an article entitled “Egyptian court designates Hamas as a terror organization, state media says”. Note that CNN clearly did not make the designation, but repeated an assertion from Egypt. The article read: “Hamas, the Islamist group which dominates the Gaza strip, has been at odds with the Egyptian government…” made it seem that there was simply a political disagreement between Hamas and Egypt, between two ruling parties. CNN referred to Hamas only as “Islamist” and not “jihadist”, “militant” or “terrorist”. CNN continued: “Hamas quickly denounced the decision at a news conference…. “It is a shocking and dangerous decision that targets the Palestinian people,” Fawzi Barhoum, a Hamas spokesman, said at a news conference”. The article highlighted that Hamas was designated a terrorist organization by one country (as opposed to actually being a terrorist group) and CNN made the effort of showing that the group challenged such opinion. The quote chosen by CNN further tried to show that such designation was itself an attack on “the Palestinian people” making the group the victim. How is that for a turn? On January 6, 2015 CNN wrote another piece that seemed all about politics. “Senior Hamas official Izzat Risheq denied reports Monday that the group’s political leader Khaled Meshaal has been expelled from Qatar” making the group appear as purely s political party. There was no mention that the group is in favor of jihad, destruction of Israel or is terrorist group. On November 27, 2014 a CNN article entitled “Israel says it broke up Hamas terror plot” specifically gave attribution of the plot to Israel, and not as a clear fact. The article stated that “Authorities arrested at least 30 members of Palestinian militant group Hamas” which at least referred to the group as “militant” which is much more than it typically writes to describe Hamas. These were the recent articles while Hamas licked its wounds from its 2014 war against Israel. How did CNN describe Hamas during the 2014 campaign itself? the kidnapping, a Hamas official said Friday. The article (in its entirety) quoted no Israelis. CNN repeatedly referred to Hamas as a political entity (does CNN ever quote Boko Haram’s main political spokesman? ), as the article sought to distance Hamas from the murders. that the Hamas Charter calls for the complete destruction of Israel? the Hamas Charter calls for jihad and murder of Jews by every man, woman and Palestinian child? the Hamas Charter which declares that there is no possibility of peace with Israel through any negotiation, and that all of Israel must be destroyed through military means? the Hamas Charter’s repeated use of anti-Semitic slurs, stereotypes and conspiracy theories? the repeated calls by Hamas and Palestinian leadership to attack Israel? if Hamas is fighting for the Palestinians, why was Meshaal sitting comfortably in Qatar? if Hamas was intentionally firing rockets from civilian neighborhoods in Gaza? if Hamas targeted Israeli civilians with such attacks? if Hamas built tunnels to abduct and kill Israelis? if Hamas would abolish its charter? if Hamas would recognize Israel? It is noteworthy that Robertson asked Meshaal how he was helping his “resistance” to Israel (Robertson used Hamas’ terminology instead of terrorism). Meshaal responded that Palestinians understood that military resistance was needed to get rid of Israeli occupation, the same way that the Americans got rid of the British and the French got rid of the Nazis. Robertson let the statement stand and did not follow up about the absurdity of the comparisons. The French repelled the Nazi invading force that took over France. The US sought separation from a colony to an independent country. But here, the Palestinians were attacking an independent country, once again seeking its complete destruction and murder of its people. Imagine CNN airing such an interview and article about any other terrorist group. This Shavuot, many synagogues in the metropolitan New York City area used a new approach for the old tradition of all-night learning. Rabbis told people the subject of their talk in advance and invited members of the community to follow the speech with their own thoughts on the same topic. It would appear that the membership did not hear the titles very clearly. A rabbi in Monsey talked about the hlichos of neighboring supermarkets. An older gentleman spoke about the hilchos of using your neighbor’s pool. No one else was allowed to address the subject. West End Synagogue, a Reconstructionist synagogue came up with the idea of learning for one-third of the night, from 11PM until 1AM. The plan is to learn next year from 1AM until 3AM, and then finish the cycle of learning in two years with 3AM to 5AM studies. A Conservative Temple from Long Beach Island noted the amazing coincidence of having Shavuot fall on Memorial Day, and sent an email to the community that Shavuot was cancelled, the Temple would be closed and everyone should enjoy Memorial Day at the beach. Who Reads First One Through? Summary: A year in, 50,000+ views. The idea behind the blog First.One.Through was to get people educated about Israel. While there are many news sites that describe the latest events, there are woefully few that do any proper analysis, as many are either lazy, inaccurate, or just have a very anti-Israel bias. First.One.Through is deliberately anonymous; you will not see a byline in the articles. The goal of the site is to empower each person who reads the articles to post them to their Facebook page, Twitter feeds, forward an email, etc. By simply using “First One Through,” people are not forwarding someone else’s opinion piece, but sharing their own sentiments (which someone wrote out for them). The blog has loyal followers in Australia, Israel, United States and slowly growing in the UK, where articles are re-posted and re-blogged almost daily. Hopefully the other English-speaking countries like Canada and South Africa will gain loyal followers this year. As the blog just reached 50,000 views as it passed its first anniversary, it seemed an opportune time to share with you a little bit about your fellow readers. As seen below, sharing things in a digital world has a way of reaching all parts of the globe. Yes, that is Saudi Arabia at number 9, mostly watching a video about themselves followed by Syria . What Links did People Click? The busiest viewership months were July 2014 and November 2014 as Israel was in the news often. Over the past few months, the number of viewers has declined, but the “quality” has improved as measured by the number of articles read by the average reader each visit (growing from 1.5 to 1.9). The site does not make any money from advertisements and does not take donations. All of the work is for free. If you would like to support the cause, be an avid advertiser by forwarding and promoting the articles you like. Forward email addresses of people who would enjoy the articles under a private message. To answer a question that has come up many times- the pictures at the top of the each article appear randomly and do not have anything to do with the content of the article. I took every picture at various locations in Israel. Continue to enjoy and share the posts. Summary: In considering the arguments that Palestinian Arabs and Israeli Jews each make for Jerusalem as their capital, only one party makes a truly compelling case. Jerusalem has long been considered the thorniest issue in the Israeli-Palestinians Question. In 1947, when the United Nations put forward a plan to partition the land into two states, it proposed placing Greater Jerusalem and Greater Bethlehem into an international zone called the “Holy Basin.” This Holy Basin would be neither part of Israel nor Palestine, to remove the sensitive region from the conflict. However, as fate would have it, the partition plan was rejected by the Palestinians who then launched a war to destroy Israel in May 1948, together with armies from Transjordan, Lebanon, Syria, Egypt and Iraq. At war’s end, the Holy Basin was divided with the western half of Greater Jerusalem and Hebrew University falling under Israeli control, and Greater Bethlehem and the eastern half of Jerusalem falling under Arab control (Jordan annexed the area and granted the Palestinian Arabs there citizenship). The Holy Basin remains an outstanding issue. 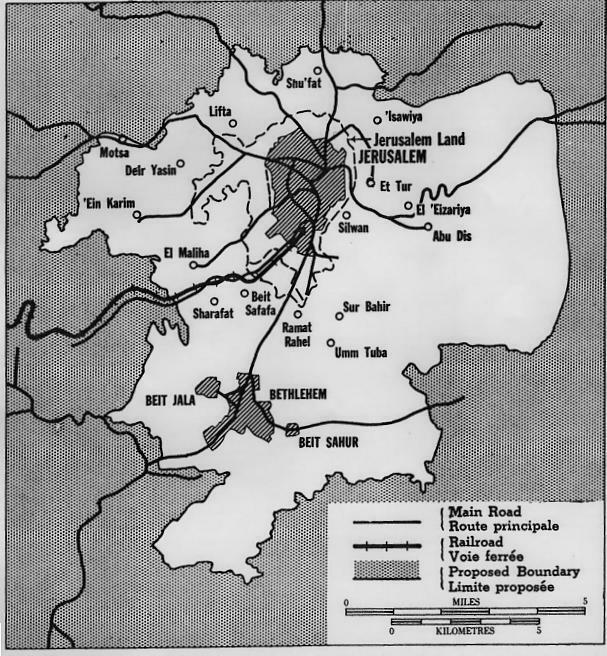 In a two-state resolution, the Israelis propose to split the Holy Basin whereby they control all of Greater Jerusalem and the Palestinians would have Greater Bethlehem; the Palestinians seek to have all of Greater Bethlehem AND the eastern half of Jerusalem as its capital, while Israel would only have the western half of Jerusalem. Which side has a better claim? There are many other churches, synagogues and mosques in the Holy Basin, however, these sites are considered sacred as various events are believed to have occurred at these locations. 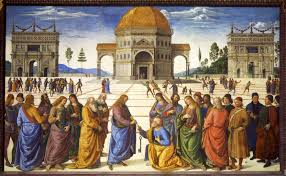 For Christians, the churches were built on the various spots where Jesus and Mary are thought to have had significant life events. 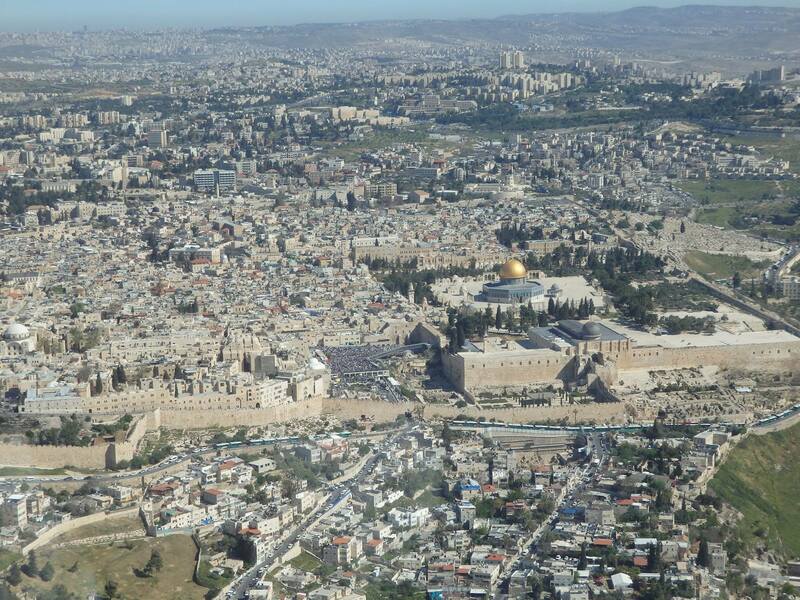 For Muslims, the Al Aqsa Mosque is considered to be the place where Mohammed ascended to heaven. For Jews, the Temple Mount is not only considered to be the place of two Temples, but also the spot where Abraham brought Isaac for a sacrifice. Of this entire list, only the Jewish Temple has any archeological evidence supporting the beliefs. 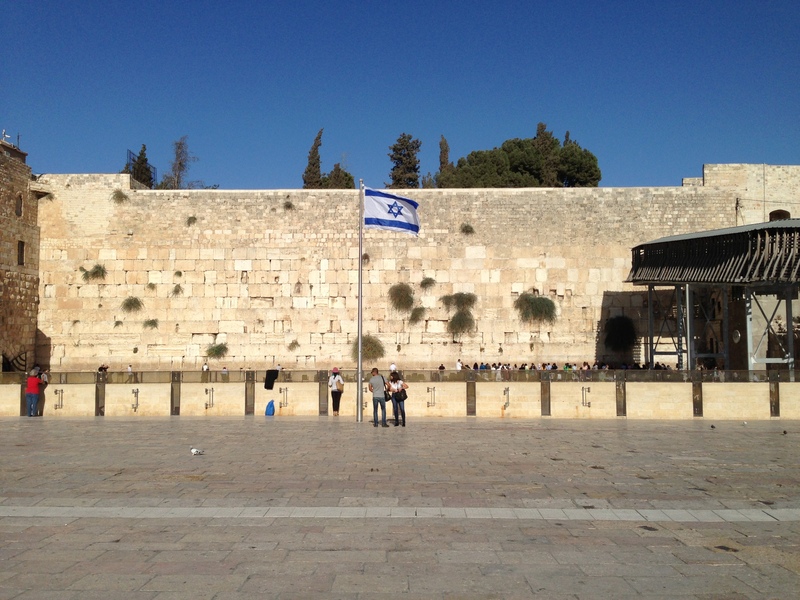 Among the three religions, Jerusalem is considered the holiest spot only for Jews. Muslims consider the Al Aqsa Mosque to be its third holiest spot (after Mecca and Medina), and the Roman Catholic Church considers the Vatican in Rome, Italy to be the holiest location. Judaism is also unique in considering the entire Old City to be holy. 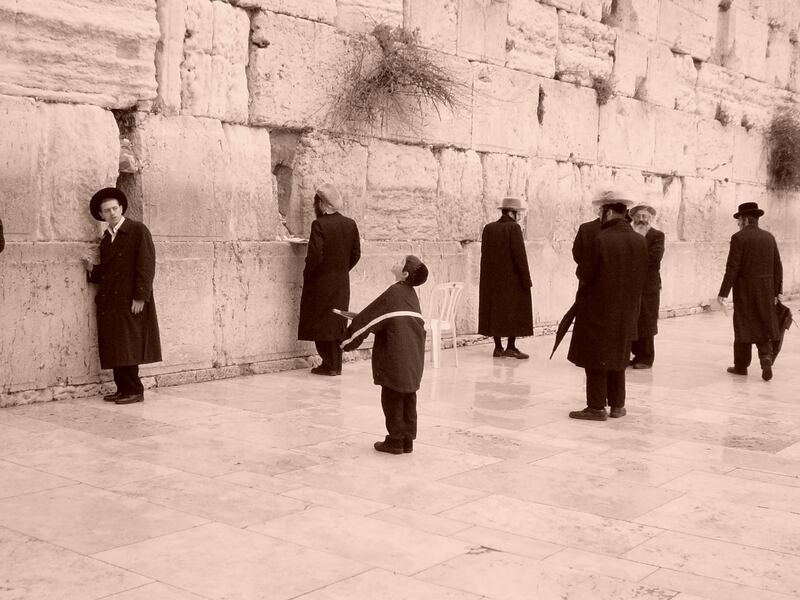 While Christianity and Islam consider certain specific spots to be sacred, only Judaism considers the city as a whole. ACCESS TO HOLY PLACES: A key concern for the United Nations (UN) is that access is provided to each religion’s holy places. In this regard, the divide between the Palestinian Arabs and Israel is stark. The Arabs only controlled Bethlehem and the eastern half of Jerusalem from 1949 to 1967, as the cities and entire region were governed by the British and Ottoman Turks (who were NOT Arabs) for hundreds of years before then. During their brief period of control, the Jordanian and Palestinian Arabs evicted all of the Jews from Jerusalem and forbade their reentry, even during religious holidays. 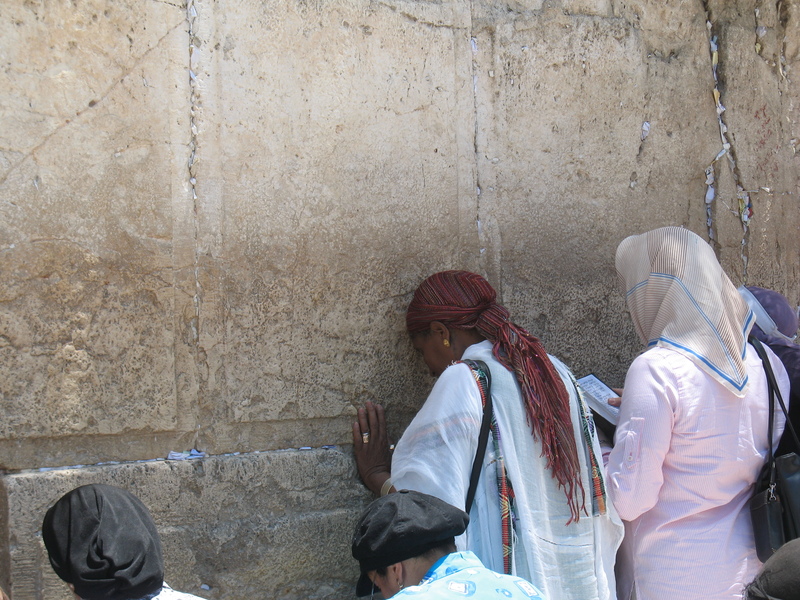 While Israel has controlled all of the Holy Basin since 1967, all religions have had access to all of the holy places. Not only does Israel ensure that people of all religions have access, but the country created laws ensuring their safe keeping and open access, and put their religious organizations in charge of those places – even the Islamic Waqf over the Temple Mount which Jews consider their holiest spot. This same Islamic Waqf prohibits Jews from praying at their holiest location today. Further, Israel has allowed other denominations to establish themselves in Jerusalem. 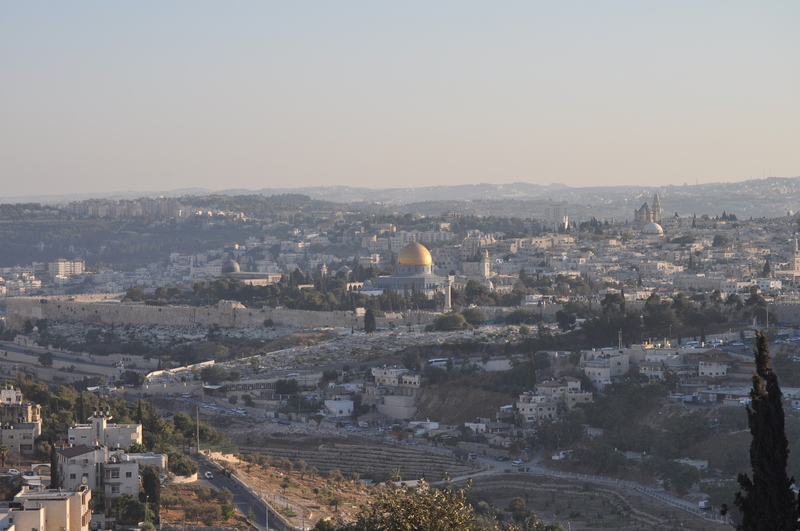 The government of Israel helped the Mormons build their church overlooking the Old City. This compares to Jordan, which doesn’t even recognize the Baha’i faith today (Israel has a huge Baha’i temple in Haifa). MAINTAINING HOLY PLACES: While access is the primary concern for the UN, maintenance of the holy spaces is important as well. When the Palestinian Arabs controlled areas such as Nablus (Shechem), they almost destroyed the Tomb of Joseph. 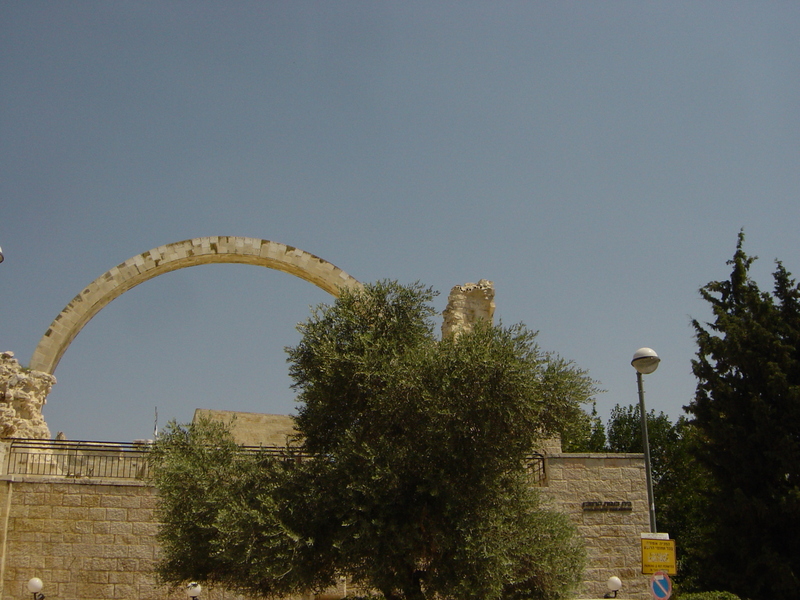 Archaeological digs occurred on the Temple Mount unsupervised resulting in the destruction of important and sacred sites. Conversely, Israel has made extensive efforts to maintain all of the religious sites under its control. It performs archeological digs mindful of scientific rigor while balancing religious sensitivities. HISTORY: The history of the Jewish people in Jerusalem extends back 3700 years when Abraham offered Isaac as a sacrifice. It became the unified capital of Jews under King David 3000 years ago and site of two temples (954BCE-587BCE and 516BCE-70CE). Jews have always continued to live there and move there over the centuries except when they were banned during the Crusades (early 1200s) and under Arab rule (1949-1967). Arab history in Jerusalem is more recent than for Jews. Arabs came to the region and city of Jerusalem as part of the Muslim invasion in the seventh century, roughly 2300 years after Jews. CAPITAL: Only one people ever made and considered Jerusalem to be its capital: the Jews. 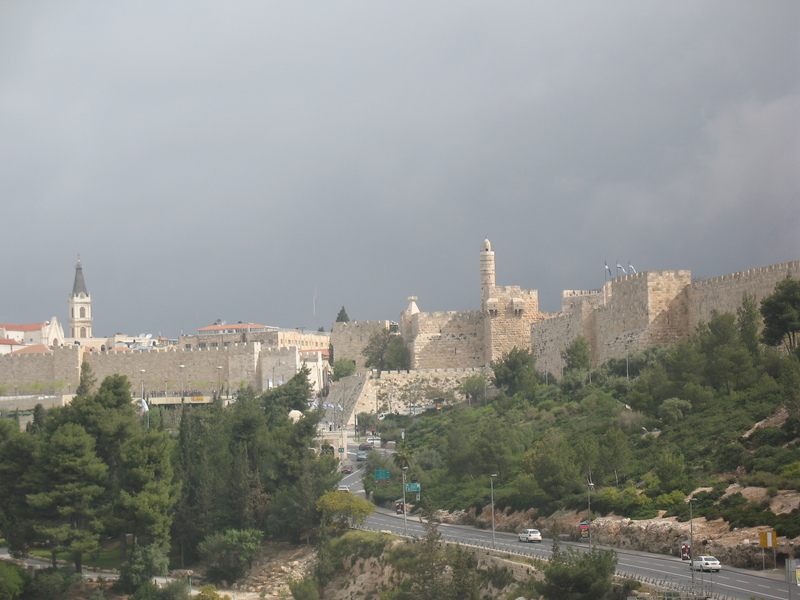 Whether in ancient times or modern, Jerusalem is the capital of the Jewish people. When Muslims ruled the region and controlled Jerusalem, they never made Jerusalem the capital. Whether under the initial Arab invasion of the seventh century, under the Mamelukes or the Ottoman Turks, or even under Jordanian Arab rule 1949-1967, Jerusalem was never the central seat of government. CENTRALITY: There is only one country in the UN that has a national anthem that is completely about its capital: Israel. “As long as in the heart within a Jewish soul still yearns And onward, towards the ends of the east, an eye still gazes towards Zion. In considering the future of the residents of the Holy Basin, it is important to consider how the people have been treated. CITIZENSHIP: When Israel declared statehood in 1948, it granted citizenship to 160,000 non-Jews. When it took control of the entire Holy Basin in 1967, it offered citizenship to those who requested it. This was in stark contrast to the Jordanian and Palestinian Arabs who evicted the Jews in 1949. Today, Palestinian leadership has insisted on a new Palestinian state devoid of Jews, which is why the Palestinian Authority objects so strongly to Jews buying homes in Jerusalem. POPULATION GROWTH: Population growth can be used as a proxy for the freedom for Arabs and Jews in the Holy Basin under the different administrations. From 1949 to 1967, the Jewish population under Jordanian and Palestinian Arab control went from zero to zero. The Jews were evicted from eastern Jerusalem and were not allowed to return. However, the Jewish population in the western part of Jerusalem nearly doubled (+98%). Over the same time period, the Arab population under both Israeli (the Israelis gave Arabs citizenship in their half of Jerusalem) and Jordanian control grew by 72%. Jewish growth outpaced Arab growth, even though Jews were only able to live in half of the city. After reunification of the city in 1967 until 2005, the population trends changed. Jewish growth throughout the city grew by 196%, while Arab growth grew by 315%. Overall, the city grew at a compounded growth rate of 3.1% compared to the divided city which only grew at 2.4%. Under Arab control, Jews were expunged from the area; but under Israeli control, Arab growth rate surpassed Jews’. Arabs performed ethnic cleansing while Jews encouraged diversity. Under a constrained Jewish situation from 1946-1967 while there was no access to eastern Jerusalem, Jewish growth outpaced an unconstrained Arab dynamic. Jewish demand to live in Jerusalem outpaced Arab interest. Under Israeli sovereignty, the city grew faster than under Arab control. Under Israel, the city did better, the Arabs did better and the Jews did better. 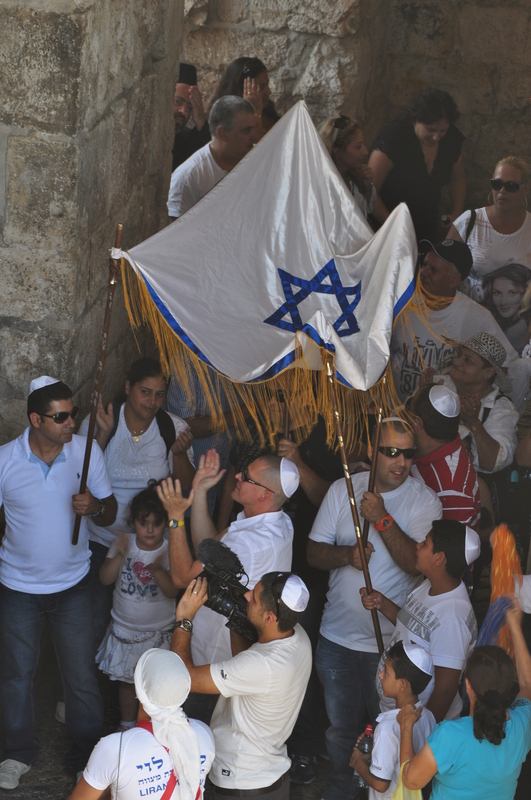 POPULATION: Jews have been the dominant religious group in Jerusalem since the 1860s. Even at the start of World War I, when Jews accounted for only 8% of Palestine, they accounted for 64% of the population of Jerusalem. Today, Jews continue to be a majority of Jerusalem, despite the Arab growth accelerating in Jerusalem under Israeli control (up to 3.8% CAGR from 2.6%). Jews account for roughly 69% of the city’s population overall, and 39% in the eastern part of the city. The eastern part contains some of the largest Jewish neighborhoods (Pisgat Ze’ev) and is home to Hebrew University (established in 1925). Any final agreement between the Israelis and Palestinian Arabs must not simply focus on being fair, but be sustainable. HISTORY OF DIVIDED CITIES: Fewer than 1/1000th of 1% of cities and towns in the world are divided. Those handful of towns that are split between two countries are typically very small and have a natural geological separator like a river dividing the city. None of those factors apply to Jerusalem. Divided capitals are even more rare, and history shows that they are unsustainable. Recent examples include: Beirut, Lebanon; Berlin, Germany; Jerusalem and Nicosia, Cyprus. Beirut and Berlin were divided by war for a few decades, and both have been reunified in peace. Nicosia has continued to be split along with the rest of Cyprus, and ongoing peace talks since 1974 have attempted to reunite the city – not divide it. OFFENSIVE-DEFENSIVE PARTIES: In the San Remo Resolution of 1920, the League of Nations (precursor to the UN) recognized the right of Jews to return to their homeland in the holy land. 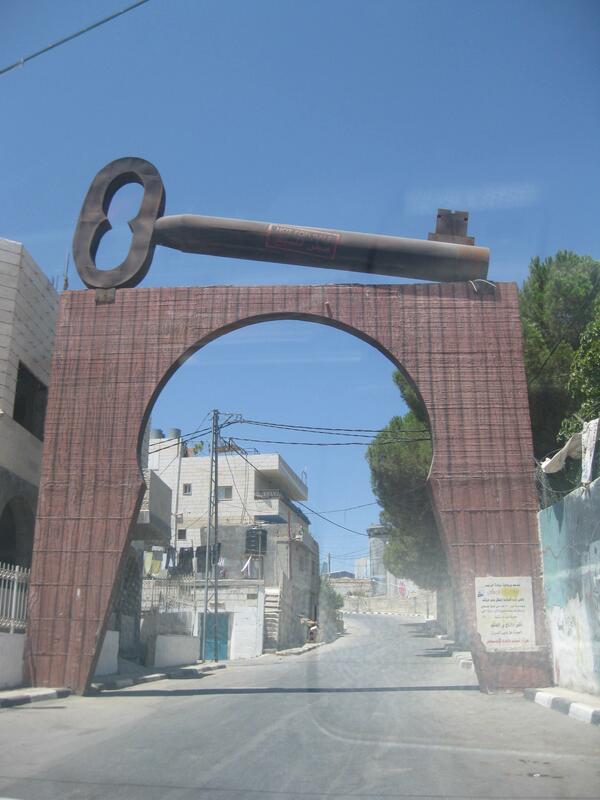 However, the Palestinian Arabs launched major riots against the Jews, most notably in 1929 and 1936-9 which made the British start to move Jews out of their homes in certain cities (such as Hebron). When the UN developed various proposals over the years 1937-1947 to divide the land, the Israeli Jews said yes while the Arabs consistently said no. The Arab position was to control all of the land including Jerusalem with no land for Jewish control. As part of their efforts, the Arabs launched a war to destroy all of Israel in 1948, and then again in 1967. The Arabs lost both wars, and the incremental land Israel acquired in each of those wars were from defensive actions. In total, Israel’s land was acquired initially from the world’s recognition of the historic rights of Jews to the holy land, together with defensive wars. Conversely, all of the Arab land was acquired through fighting the UN mandate and launching wars. In regard to the Holy Basin specifically, both Israel and the Jordanian and Palestinian Arabs took sections of the city during the Arab war against Israel in 1948-9, that the UN had proposed to keep under international control. As such, the UN did not recognize either country’s seizure of parts of the city. When Israel took the eastern half of Jerusalem along with Bethlehem in 1967, the UN continued to withhold recognition. Countries around the world did not recognize Israel’s western Jerusalem in 1949 nor the capture of eastern Jerusalem in 1967, so they have never moved their embassies to the city. Their refusal to recognize Jerusalem as Israel’s capital (or Jordan’s) is from 1949, NOT because of Israel’s reunification of the city in 1967. By almost every measure, Israel should maintain control of all of Jerusalem as well as additional territory to the east to control the hills and access roads to the capital. The Palestinians could have control of half of the Holy Basin – Bethlehem – which was handed to Palestinian Authority control in 1996 by Israeli Prime Minister Benjamin Netanyahu. There is one last reason which underscores the complete logic of Israel maintaining complete sovereignty of all of Jerusalem: it is the heart of the home of the Jewish people. While there are 57 Islamic countries and dozens of Arab countries, there is only one Jewish State, and it has always had one capital: Jerusalem. The spring of 2015 has been a tumultuous time for Americans. Politics and debate are not new and neither are riots and war. However, it is typically the former that resides on America’s shores while the latter remains a foreign phenomenon. Historically, when riots broke out in the United States, they were over isolated incidents such as after a sports game, a concert or visit of foreign diplomats. When protests had “a theme,” such as “Occupy Wall Street,” they carried on for a long time, but remained mostly non-violent. Today’s multi-city violent protests over a common cause is unusual. The black community has had a mixed relationship with police for a long period of time. People on all sides of the political spectrum debate the reasons for the tension between law enforcement and the citizens they are there to protect. No one denies that there is a problem that is capturing more American cities, whether Ferguson, MO, Berkeley, CA or Baltimore, MD. Liberal arguments have followed two general themes – racism and economic opportunity – which are actually one: Black unrest stems from the fact that a predominantly white populace holds positions of power. 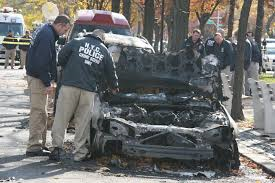 The power may be law enforcement (including the police force and lawyers), municipal government, banks or business. They argue that white people’s biases (whether overt or veiled) discriminate against black people. Counter-arguments point to the situation in Baltimore, MD where the mayor, the majority of the city council, the head of police and the majority of the police force are black. Yet, an unarmed black youth still died while in police custody and black violence took to the streets. Regardless of the reason, doors appear closed. Liberals argue that metaphorical doors to economic opportunity are closed to blacks which create economic hardship and frustration. Conservatives argue that doors are naturally closed to everyone; people need to open the doors on their own. The conservatives do not agree that metaphorical doors of progress are locked because of white bigotry. Conservatives are focused on physical doors that are closed. Stores which were looted and burned to the ground may never reopen. Both the businessmen and community suffer from the destruction. For their part, liberals use such conservative arguments to claim that conservatives care more about business than about the lives of black people. But more physical doors continue to close. The city of Baltimore imposed a curfew. It barred people from attending a professional baseball game, the first time in history that a game had no fans in the stands. What will be next? America’s doors are closing due to violence and political snafus in other parts of the world as well. In Yemen, the United States closed its embassy doors due to unrest in the country. The Obama administration had been using drones to attack rebel forces for many years, yet the rebels overtook the capital. It would appear that despite America’s outreach to Iran, the Iranians continue to back rebels in Yemen who fight against American allies. America’s allies in the Middle East are not happy with Obama. While Obama invited the leaders of several Gulf countries to visit the White House to sell them on his Iranian nuclear deal, Saudi Arabia and other countries declined the invitation. Just months before, it was Obama who snubbed the Israeli Prime Minister on his visit to the US, who similarly disagreed with Obama’s Iranian policy. Regarding physical doors, both in the US and abroad, people are locked out of public places and embassies because the government cannot protect them. Metaphorically, America seems to be failing its citizens and allies as well. Summary: Society’s ongoing demands for special recognition is making seeing one’s mother on Mother’s Day the equivalent of “Where’s Waldo”. Just 101 years ago, on the brink of World War I, US President Woodrow Wilson declared Mother’s Day. In its original format, it seemed like a nice, sweet, uncontroversial idea. Each person would make time to thank and honor their own mother for the love and effort they expended in bringing them into and up in this world. Within a few months, many of those American mothers would be mothers-no-more, as over 100,000 American men died in combat. Americans reached out to those bereaved parents, and implicitly changed the singular “Mother’s Day” to “Mothers’ Day” in plural (as preferred by President Wilson over the wishes of the holiday’s creator, Anna Jarvis). It did not take long for other societal changes to creep into this Sunday in May. The first foxes in the henhouses were commercial opportunists. Merchants of flowers, candy and greeting cards convinced us that buying-was-caring, and that their wares were welcome with women, while warm wishes were watered down gifts. They exploited the public “MotherS’ Day” and advocated that every mother you ever knew was important to recognize. 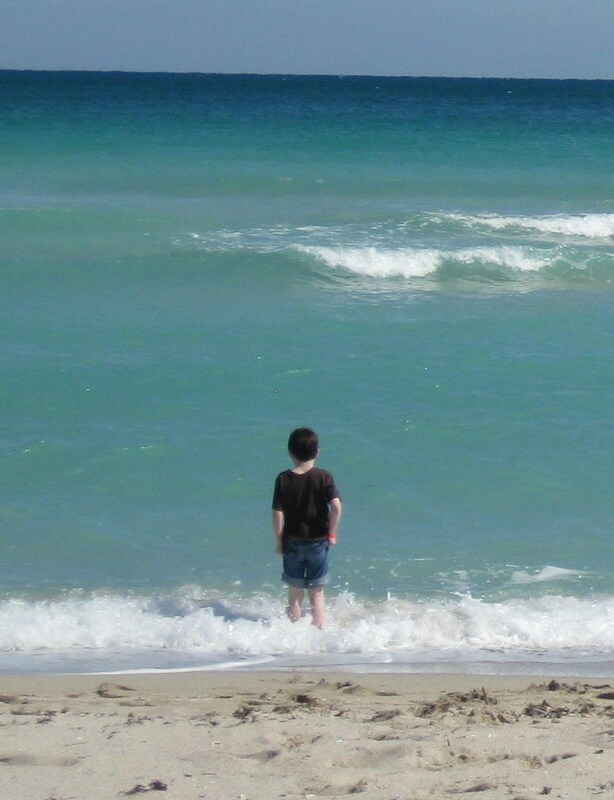 Gone was the one-to-one heartfelt communication from child to mother. On came mass media and mega merchandizing. This was much better for businesses, as now husbands were expected to buy more significant gifts for their spouses. Before long, jewelry and fashion accessories became the normal gift from a spouse, while the flowers remained a welcome gift from children. Meanwhile, terms of endearment became shorter than Twitter, as the space for sentiments was just the accompanying notecard. As society expanded the definition of MotherS’ Day, many people came forward to demand their own recognition. The LGBT community called for more coverage of people who would not have historically been considered mothers. Others called on society to account for recognizing women with every conceivable iteration of motherhood or non-motherhood. It is now commonplace for a person grabbing a quick bite to be told by the cashier to call their mother. How did all of this societal noise get introduced when the day was intended to be a direct communication between child and parent? Can American society soon expect extreme feminists will assault Mothers’ Day and try to replace it with a single gender-neutral Parents’ Day, the way they are destroying urinals and gender distinct bathrooms? Hillary Clinton wrote a New York Times bestseller book in 1996 called “It Takes a Village” in which she argued that all of society is needed to raise a child. It would appear that our society is now demanding its acknowledgment in return. Perhaps you can simply use a megaphone and thank your mother in the crowd. It is perhaps not surprising that the by-product of declaring a public day to have a private communication would eventually destroy that private moment and insist on the public’s inclusion. However, I do hope that people can move past the cacophony of societal demands and advertising blitz to carve out time for personal expressions of thanks directly with their moms. 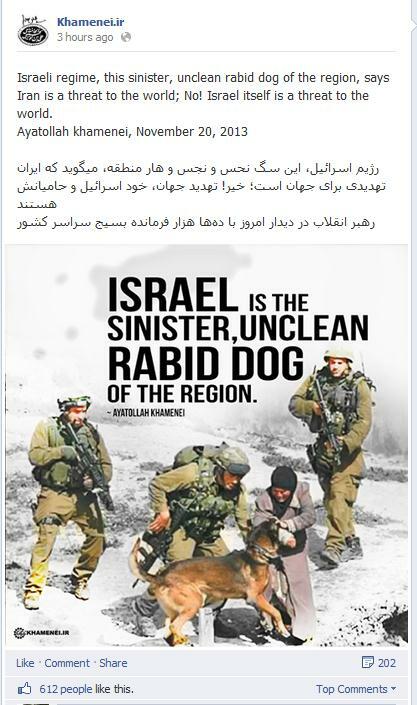 Summary: Antisemites calling Jews “unclean” is their first step towards calling for purifying them from the world. How should the world respond? Hitler’s Nazi party gradually stripped Jews of their citizenship in the early and mid-1930’s once the gained power, pushed them into ghettoes and work camps by late 1930’s and began their annihilation by the early 1940’s. 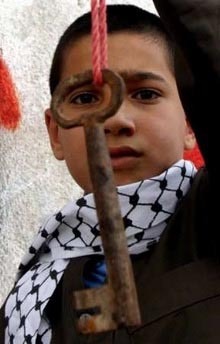 Hamas called for the murder of Jews and destruction of Israel in the very same 1988 charter: “rid the land and the people [Jews]“, “there is a Jew behind me, come and kill him” and “Israel, Judaism and Jews challenge Islam and the Moslem people.” The Palestinian people voted for Hamas into 58% of the Parliament in 2006. One can call Abbas a “moderate” in comparison to those around him in that he has not openly called for killing Israelis (he prefers the indirect method of honoring and celebrating those that do kill Israelis). 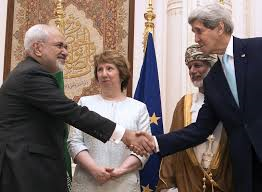 President Obama commented about ISIS (2014) that “the world must never cease in seeking to defeat their evil ideology.” Such evil ideology is the open platform in the Iranian and Palestinian leadership. his process of negotiation and placating them is a method of “defeating” them?